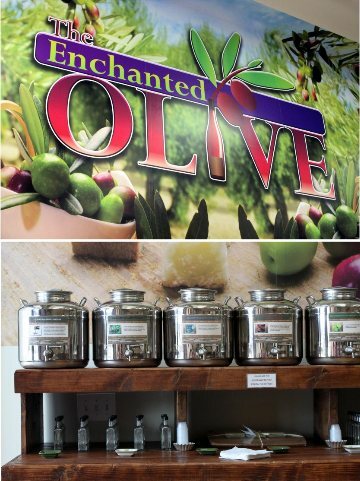 It’s called The Enchanted Olive and it’s amazing! It’s in a small downtown storefront, that looks like it is an original building. It’s open and airy and has tank after tank of oils and vinegars. They have small cups for customers to taste the different offerings. I tasted several before I made my selections. They have various sizes of bottles you can fill to buy. Please take the time to check them out! Truly it was an enjoyable experience and I have a few different oils and an amazing Balsamic Vinegar to add to my salads and to my roasted veggies! Oh! and they also have organic, Non-GMO spices and gourmet sea salts at great prices! Me being who I am, believed all were the same product, right? WRONG! See the large bag in the back? It’s different from the rest. All the packages in the front are Erythritol and Stevia. The large bag in the back is Erythritol, SUGAR, and Stevia. Yikes! I saw the bag and thought, great! An easy, convenient way to buy Truvia. I got it home, made some muffins and they were sickeningly sweet. I couldn’t figure out why. 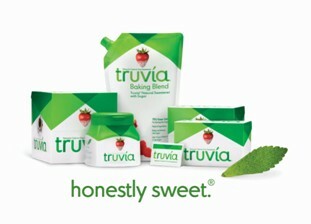 Until I read a post by someone talking about Truvia and they said to beware of the Truvia Baking Blend that comes in a large bag. They said it contained sugar. Sure enough. Wow! Thought I’d pass that along for any of you who are trying to cut sugar out of your diet. I’m telling you, it’s everywhere! Even in the alternate sweeteners we are trying to use! On that note, I found another blog written by Lauren Benning: Healthy Indulgences Lauren has formulated a Truvia-like sweetener recipe. I’ve been reading on the Trim Healthy Mama forum that a lot of people are completely satisfied with the recipe and have made the switch. Yesterday, I ordered the Erythritol and Stevia recommended by Lauren and THM; I’ll let you know how it works out for me. So, I am now at 5 1/2 weeks of being sugar-free. I’m loving the balance I’m finding in my eating patterns. I still get hungry, sure. I’m human. But, I’m not finding myself wanting to eat for the sake of eating or for the taste of something sweet. I don’t really think about food unless I’m truly hungry. Pretty amazing. 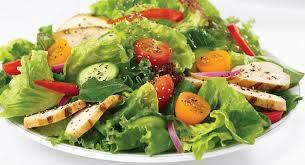 Posted in Uncategorized and tagged erithrytol, olive oil, salad, stevia, truvia. Bookmark the permalink.